Above Photo Used With Permission of Ruth Farris; Courtesy of Bernice Springer The FIRST Station 2 at 2201 East 3rd (E. Broadway) in N.L.R. was in the R. R. Prioleau Building. The Station opened in October, 1925. 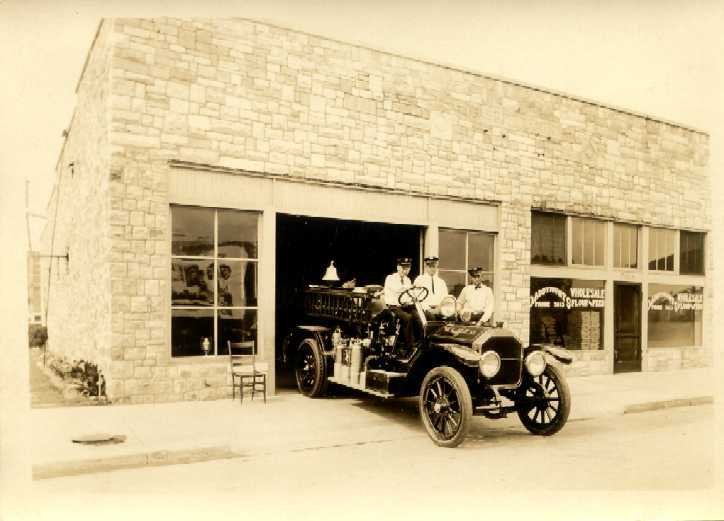 The 1917 American LaFrance had just been overhauled. 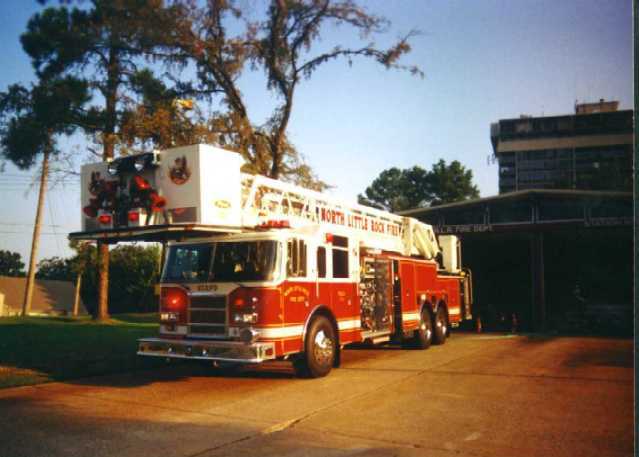 This photo was taken soon thereafter, judging from the new paint on the pumper. 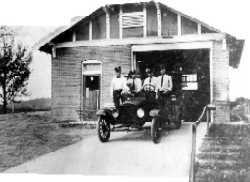 Note that "NLRFD is on the hood instead of Argenta, as was there in 1917. The space in this building was rented. The NLRFD remained here until sometime between 1931 and 1934. The opening of this Fire Station again gave North Little Rock two Fire Stations for the second time in its history. ( A station at 15th and Pike had been opened in 1918, but was later closed and remained abandoned until December, 1925) Hence, this location became "Company 2" and 15th and Pike became "Company 3"